Trina Clickner, Denise Carder, David Russell, Mark Weeg and Fred Vieira play tunes together in and around Rochester NY as the "String Chickens". We play bluegrass, old-time, American, Scottish, Irish, and pretty much any old tune. Some newer ones, too. This is our e-roosting spot and a way to share things we like. Check out Mark's Mel Bay Book and our Noteworthy Tunes - if you like garlic, put "The Garlic Waltz" on your list of "learnin' tunes" and buy Trina's book, " A Miscellany of Garlic". People say, "please send me a sample of your music" and now I will say, "please check out our Youtube video". We created a Facebook page and we try to keep it up to date but are sometimes not as good at updating it as we want to be. Send email to trinaclickner@gmail.com to see where we're playing next if what you see here and there looks a bit out of date. Mark's Mel Bay Book - 75+ tunes to keep you very busy! Select this link for more info. Available in hardcopy and as an e-book for your iPad, etc. 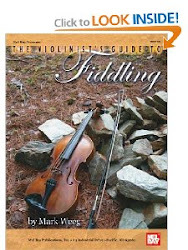 Not your typical fiddle-tune book, these tunes range from variations of regular tunes to obscure Scottish polkas, classical duets, gypsy fiddle tunes, Cajun tunes and even two or three original tunes. Trina Clickner, Denise Carder, David Russell, Fred Vieira and Mark Weeg play tunes together in and around Rochester NY. Together as the String Chickens, Trina and Denise play fiddle and Mark plays fiddle, viola, mandolin and sometimes guitar or piano. David Russell plays guitar or autoharp and sings. Fred plays upright bass, sometimes guitar or mandolin, and sings harmony - hurrah! We play bluegrass, old-time, American, Scottish, Irish, and pretty much any old tune. Some newer ones, too. Call Trina at mobile: 727-366-1424 or send email to trinaclickner@gmail.com - we'd love to play for you and promise to conjure up lots of foot-stomping fiddly, unforgettable fun! Copyright 2013-2014 Trina Clickner. All Rights Reserved. Watermark theme. Powered by Blogger.